Arciom Šrajbman explains why Lukashenka did not attend EaP summit in Brussels. Grigory Ioffe: The regime in Minsk has taken over some of the most important slogans and refrains of the opposition. Joerg Forbrig: I am not an “Architect of Revolutions” in Belarus. Jaŭhien Prejhierman sees modest progress in US-Belarus relations. Piotr Rudkoŭski: through soft Belarusianisation, the regime is looking for new ways to arrange relationships with its own society and with the West. Belarus in Focus: reformists in the government and the National Bank are somewhat disappointed with the pace and prospects for economic reforms in Belarus. IPM Research Centre fresh infographics on education: 5,7% Belarusian high school graduates can freely speak a foreign language. CET study: Belarusians’ self-identification “with the Soviet people” remains the same as in the early 2000s. Nothing to Talk About. Why Lukashenka Did Not Accept the Long-Awaited Invitation to Brussels – Arciom Šrajbman, at Carnegie Moscow Centre, analyses the reasons why Alexander Lukashenka did not accept the invitation to the Eastern Partnership summit – in brief, the EaP was devalued even in the eyes of its participants. This is cold realism, a field for the routine work of professional diplomats, where the leaders do not yet see the point of investing their political capital. Modest Advances in US-Belarus Relations – Jaŭhien Prejhierman pays attention to some modest progress in US-Belarus relations, which have been in a downgraded state for almost ten years now. However, there is a fundamental problem Belarus has in relations with the US – unlike some other post-Soviet states, the country has no lobby in DC. 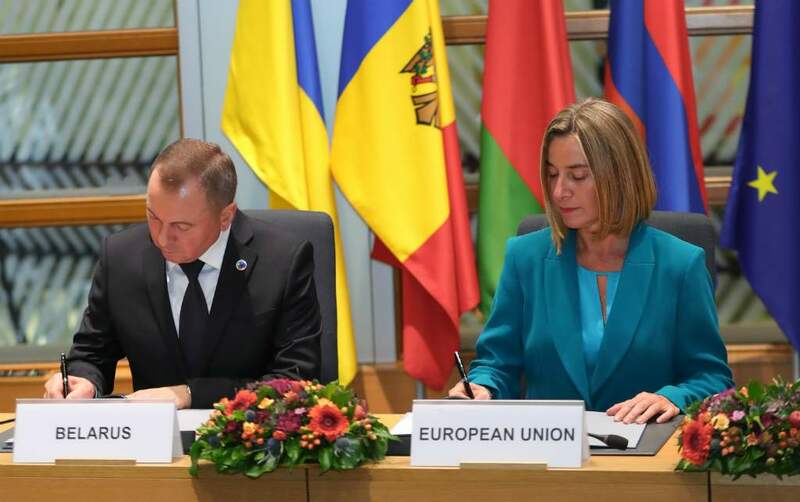 Belarus, Russia and the “Ukrainian Scenario” – Grigory Ioffe analyses fresh publications pertaining to the possibility of “the Ukrainian scenario” in Belarus. The author acknowledges that Belarus and Russia have common majority religion and language, and suggests that “Western influence is hardly the root cause of a potentially comparable Belarusian estrangement from Russia”. A functioning state is the main difference that Europe sees in Belarus compared to Ukraine. Belarus: Generational Change and Nation-Building – Grigory Ioffe notices that the “regime” in Minsk has taken over some of the most important slogans and refrains of the opposition. And today, Belarusian language is no longer a clear marker of patriotism and identity. Such evolving nuances are easy to miss. Nevertheless, they are important to grasp for anyone aspiring to understand modern-day Belarus. Joerg Forbrig: I am Not an “Architect of Revolutions” in Belarus – Joerg Forbrig, The German Marshall Fund, visited Belarus for the first time in the last 7 years and gave an interview to the Reformation Belarusian website. Dr Forbrig shares his understanding of Belarusian civil society and Belarus-EU relations. Belarus and the 1917 Revolution – Grigory Ioffe notices that Belarus is the only successor state of the Soviet Union where 7 November is still a day off. The simplest interpretation of such continued veneration of Soviet symbols is that the current political regime of Belarus is a direct successor of the Soviet one. However, the expert believes that this is an intricate and complex theme, hardly conducive to the propaganda of any strand whatsoever. Soft Belarusianisation. 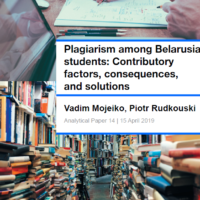 The Ideology of Belarus in the Era of the Russian-Ukrainian Conflict – Piotr Rudkoŭski notes that over the past three years, the government of Belarus is strengthening national identity, emphasising the divergence of Belarus’s interests from those of Russia. This modification probably means that the regime is looking for new ways to arrange its relationships, both with its own society and with the countries of the West. The Belarusian leadership restrains economic reforms. 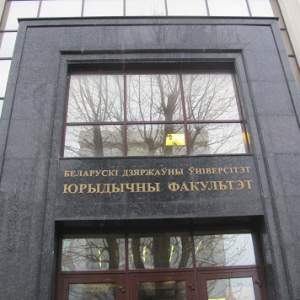 According to Belarus in Focus, reformists in the government and the National Bank are somewhat disappointed with the pace and prospects for economic reforms in Belarus in the coming years. Hence, they are less willing to put pressure on the country’s top leadership and most ambitious of them leave the public sector. 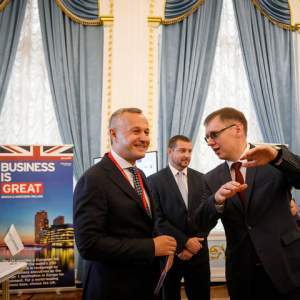 How Mistrust And Lack of Reforms Ruin Everything – TUT.by portal summarises the results of the Kastryčnicki Economic Forum, KEF 2017. Top-level international and Belarusian participants traditionally attended the Forum. While the first four forums raised the reform as the main issue, this year event shifted to humanitarian issues, raising a number of actual internal items both at the formal panels and backstage discussions. Why Doesn’t Belarus Move Towards Market Economy? Five Important Thoughts Following the Results Of the Main Economic Forum Of the Year – Nasha Niva journalist formulates five theses according to his conversations with officials and businessmen at the KEF 2017. A shock transition to the market will turn into a disaster even with the absolute political will of Alexander Lukashenka, as soon as the majority of the population will find themselves uncompetitive in the market conditions. However, authorities need to understand that there are reforms that don’t “kill” economic growth, including reforms in education, judicial system, legislative drafting etc. IPM Research Centre presents infographics on school education. Respondents of 17-21 years old from all types of settlements participated in the survey. Thus, the Russian language tops the rating of school subjects the knowledge of which was useful after school (53,7%); the Belarusian language took the second place (16.1%). Only 1.5% of Belarusian graduates speak several foreign languages. “New Soviet” Belarusians – Centre for European Transformation, CET publishes the results of a national survey conducted in August 2016. The study shows that the identification “with the Soviet people” remains at the same level as at the early 2000s: a quarter (25,6%) of the Belarusians “often” feels closeness “with the Soviet people”, 18,5% – “sometimes”, and only 22,8% “almost never” feel this closeness. All possibilities of extensive development exhausted. Zautra.by figures out what prevents Belarus from growing in the Doing Business rating. One of the reasons is connected with the fact that other countries have been more active in reforming their economies.